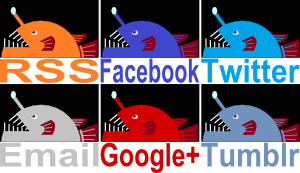 New for the iStuff generation, meet the Owlfish and the "little squid"! Perfect for modern, small screen devices! 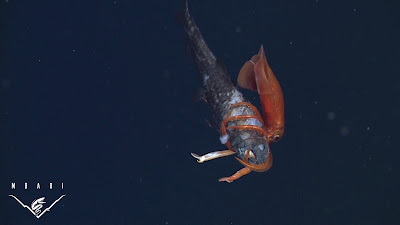 The little squid in question is Gonatus onyx, a common species of the North Pacific which reaches less than 15 cm (6 in) long. The Owlfish (Pseudobathylagus milleri) is twice as long and evidently gets its name from those giant, owl-like eyes which are no doubt tremendously useful in the deep sea. Unfortunately they didn't stop it getting snatched up by the little squid that could. He didn't see that coming! 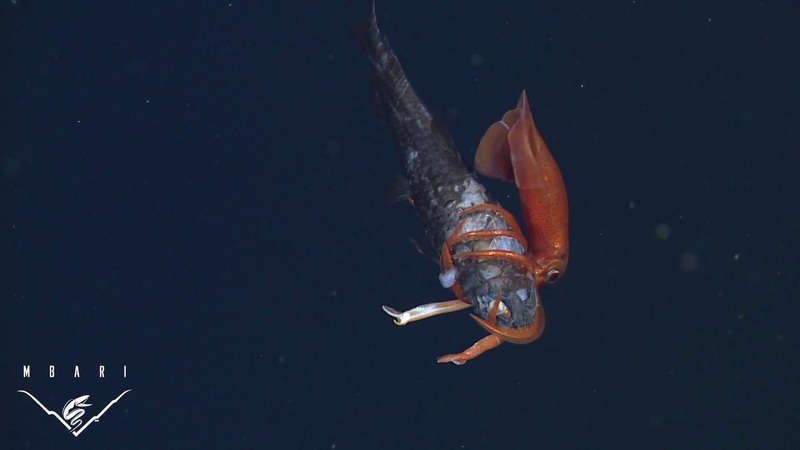 The squid has a good grip on its prey and is now slowly cutting into its flesh so as to sever the spinal cord. The Owlfish's large scales are falling off all over the place, too. Apparently it's a defence mechanism that helps them escape predators. The hope is that a... squid, say... would be left grasping at scales while the rest of the fish makes a swift getaway. I love the second pic. 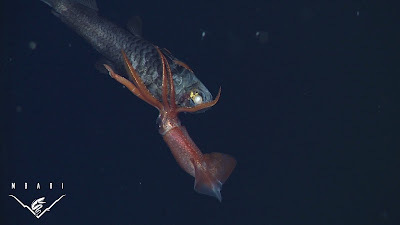 It looks like the squid is hugging the fish, staring wide-eyed at what's to come. "Hold on tight little buddy! WE'RE GOIN IN!" Haha! Oh, if only they were friends going on an adventure! It's like Monster Bug Wars of the deep sea. OMG! I would TOTALLY watch every episode of 'When Underwater Invertebrates Attack!'. Every single one. Somebody invent this, I'd buy merchandise! Hahah! Well I guess that's the other way of looking at it!